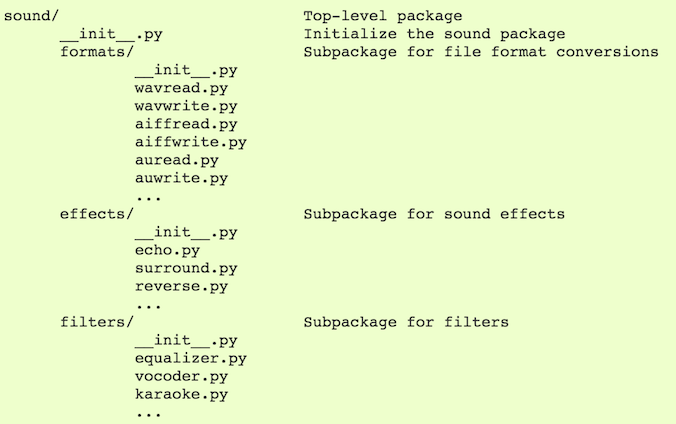 Example package structure from official python document. More details about setup function can be found here. Add file path to MANIFEST as ‘include /path/to/test.json’, the path is relative. You can also use search pattern like ‘*.json’. Now you have everything in place, let’s build the package. Building a package means creating a source code distribution (e.g. tar.gz) or a binary file (e.g. wheel). It’s simple to do. This will create both format in ‘./dist’ folder. The files will be named based on the package name and version. Congratulations! You now have a shiny package. Now it’s the time to make it available to other people or your future self. We are gonna upload it to Pypi so you can do your favorite ‘pip install’. First, you need to create an account on pypi site. Here we assume the files under ‘dist/’ will all be uploaded to pypi. You can of course specify a particular file. Twine is a simple tool to help us interacting with pypi. When you upload for the first time, it will try to register the package on pypi. At this point, you have published your own package on pypi. To use that, just run pip install my_package to get it to your machine. Then use ‘import my_package’ in your code. If you are developing the package locally and want to use it for test. Add the path to the package folder to $PYTHONPATH and it’s good to go. If you don’t want to touch the environment variable, just do pip install -e . in the root package folder and it will be installed just like a published one. Plus, you don’t need to do anything every time you make changes to your code, it will keep up-to-date.